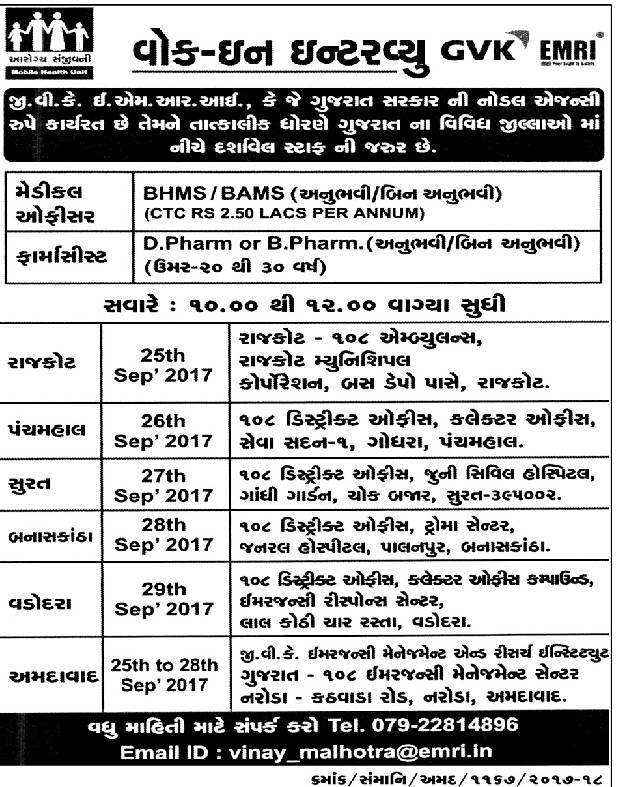 GVK EMRI (Emergency Management &amp; Research Institute), Various Dist has published Advertisement for below mentioned Posts 2017. Other details like age limit, educational qualification, selection process, application feeand how to apply are given below. Selection Process : Candidates will be selectedbased on an interview.